In that lull between the Spring and Summer 2016 anime seasons, in which the old shows are ending but the new ones have not yet begun, I took the opportunity to finally watch Serial Experiments Lain. Now, Lain is a fantastic show, but it’s one that’s incredibly dense, surreal, and confusing, and I found it hard to watch more than one episode at a time. However, it’s one that I kept wanting to return to regularly. Then, when the new shows started airing and most of them were bad, I found myself partway through the episode thinking “I could be watching Serial Experiments Lain right now instead of wasting my time with this drivel.” I shot a few tweets off expressing this sentiment, the idea got picked up and used as a discussion point and episode title on the Anime Insiders Podcast, so I guess now the Lain Test is a thing that I want to try to flesh out a bit more. What is the Lain Test? The short explanation is this: If you’re starting a new show and you find yourself thinking “I could be watching Serial Experiments Lain instead,” the show is failing the Lain Test. Note that the show in question does not actually have to be Serial Experiments Lain. It only has to be a show that completely captivates you. I only use Lain because it’s what I was watching at the time. How do I Perform the Lain Test? The optimal method is starting a good show in the gap between seasons. “Good show” is going to be subjective, so it really helps to surround yourself with fans similar to your tastes and get recommendations from them. If you don’t have time for that, just think back on a show that made you feel the same way. One that had you thinking about it all day after starting it and had you constantly wanting the next episode. Recapture that feeling, and see if you find yourself longing for it as you watch a new show. If not, consider whether or not a show is worth your time. Basically, the Lain Test is all about comparing your experiences with a new show to the best possible experience a show can give you. But Will Anything Actually Measure Up? Of course not. That’s not the point. The Lain Test is just a rhetorical test that should be treated the same way as the Bechdel Test. Whether or not a movie passes the Bechdel Test is not an indicator of its actual quality, since plenty of good movies don’t and some really awful movies do. It’s just a rule of thumb to measure how well a series handles female characters and make the point that very few movies do a good job with it. Likewise, the Lain Test is a measure of how much a show is wasting your time to make the point that there aren’t that many worthwhile shows out there. So Why Use the Lain Test, Then? I’ve watched a lot of shows that I barely remember any of on the basis that they weren’t awful. They obviously weren’t good, though. Just…average. Mediocre. Shows that no one was going to be talking about in a year. I work full time right now. This current season had about 38 shows I’m at least gave a shot. Were I to have watched a full episode of each of those, it would have taken me about half a day to get through them all. Of all those shows, do you know how many have made me say “I’m with this one to the end?” Two. Only two shows have made me say “this is instantly compelling enough that I know I’ll watch all of it.” Three more I’m optimistic about, and about six more have earned another shot. There aren’t many shows from each season that will endure, and it’s usually easy to tell whether something is generic schlock from the first episode. If I go 8 minutes in and a show hasn’t given me any incentive to watch the rest of it, I don’t expect it will suddenly improve. After all, in any form of media, the first impression is the most important one. Book editors, for example, will often only give a submission a page. If they have no reason to read on, why waste their time on it? I don’t want shows that waste my time. 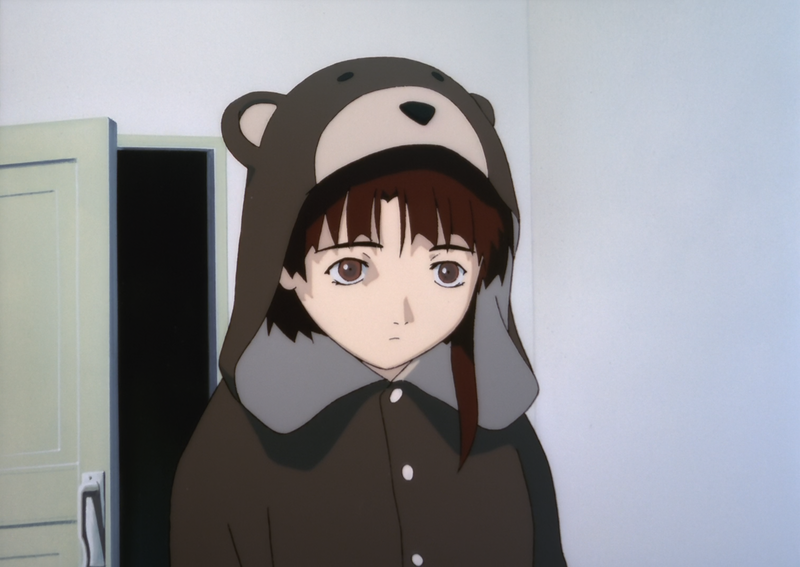 And if I’m constantly thinking “I could be watching Lain instead,” I know my time’s being wasted. I don’t need three episodes. Neither should you. ← MeganeToast Episode 1: Baccano! Pingback: Anime Insiders Podcast Episode 4: 91 Days of AniTwitter!